New Hardwood or laminate Flooring is an excellent way to improve the look in any room of your home or even your place of business. J & J Wood Floors is a specialist flooring contractor serving the Nevada County, CA area. We specialize in the sales and installation of hardwood flooring, engineered hardwood, pre-finished hardwood and laminate flooring. With so many choices available when it comes to different hardwoods, laminates, thicknesses, colors, patterns, grains and more, the choices can be overwhelming. J & J Wood Floors does nothing but hardwood flooring and our extensive experience, knowledgeable staff, and dedication to helping you make the right, educated decisions is what sets us apart from everyone else. When you choose J & J Wood Floors to complete your Nevada County CA hardwood flooring project you aren’t just getting a flooring contractor. You’re taking on a partner in making your home or business look the absolute best it can, and we’ll guarantee you, that nobody will have anything bad to say about your floors! We sell and install many different types and styles of hardwood flooring from name brand manufacturers. 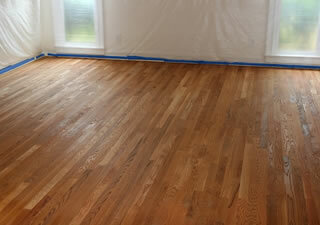 We specialize in the sanding and refinishing of all types of hardwood flooring in residential or commercial settings. 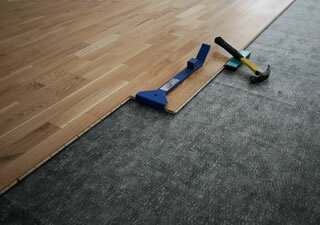 We sell and install many different types and styles of laminate flooring from name brand manufacturers. 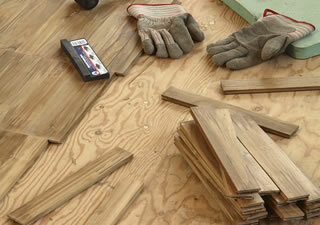 We specialize in preparing the subfloor of your structure to accept your hardwood or laminate flooring beautifully. Why Choose J & J Wood Floors For Your Nevada County CA Flooring? When you choose J & J Wood Floors to consult and install the new flooring into your home or business you are partnering with a team of flooring professionals. 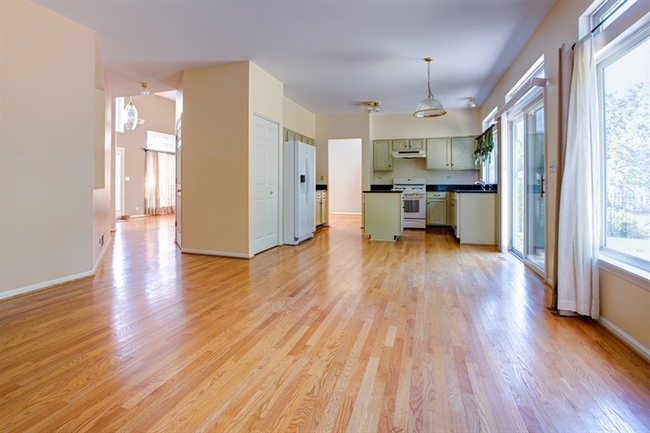 We’ve installed hundreds of thousands of square feet of hardwood flooring in both residential and commercial projects. Our experience in the hardwood flooring industry is unmatched as our flooring craftsman are able to offer their special expertise and finely detailed installations. If you want a beautiful hardwood floor then give J & J Wood Floors a call today. "When I decided to replace the wall-to-wall carpeting in my home with wood, J & J Wood Floors had been highly recommended by neighbors of mine. Joe Putzel and his son work well together and they finished my flooring project in a timely manner and at a reasonable price. My home now has beautiful wood floors and I am one very satisfied customer. 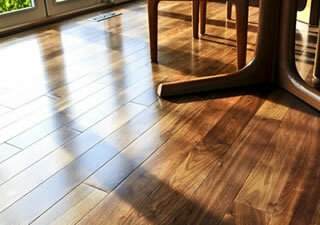 I would urge anyone who is interested in beautifying their home with wood floors, to give J & J Wood Floors a call. You will not be sorry."